Ilona Svetluska was born in Pilsen, Czech Republic in 1979. Since 2005, she has been living in Brussels, Belgium. Painting is one of her passions since childhood when she won a couple of competitions. In Brussels she earned a Masters degree in International Politics and worked as a diplomat for the Czech Presidency of the Council of the EU. Brussels gave her also an opportunity to run a Buddhist centre and bring to life her idea of organizing an exhibition of Tibetan art “Timeless Values” in the European Parliament in fall 2009. 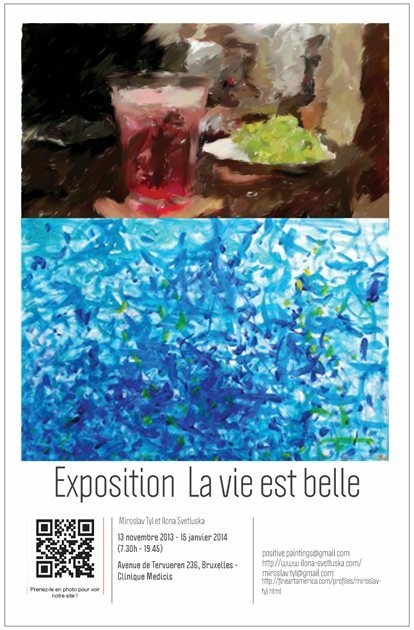 She has also held successful exhibitions of her art in the Council of the EU. 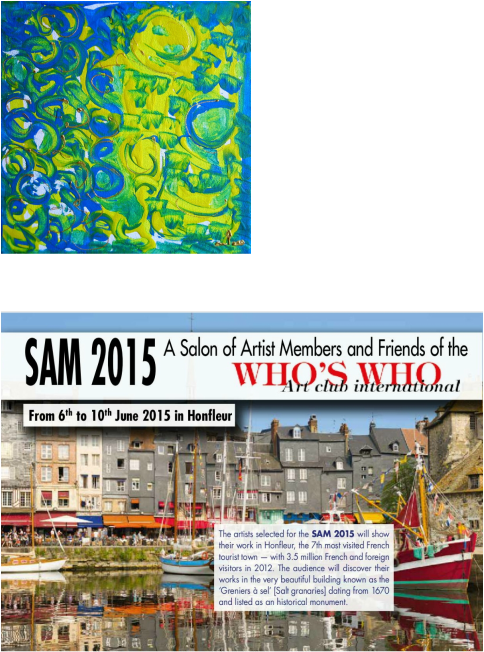 She is a member of API – Art Perspectives International. 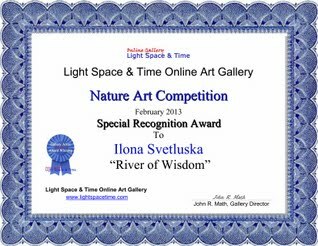 Her abstract painting "River of Wisdom" has received a Special Recognition Award for outstanding art. 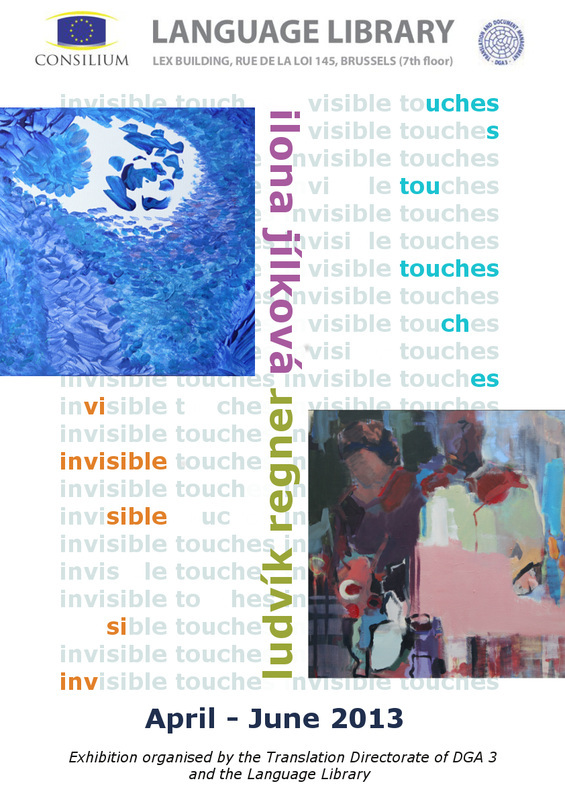 Her artwork is owned by clients from Belgium, Luxemburg, UK, Czech Republic and also belongs to the collection of the Council of the EU.